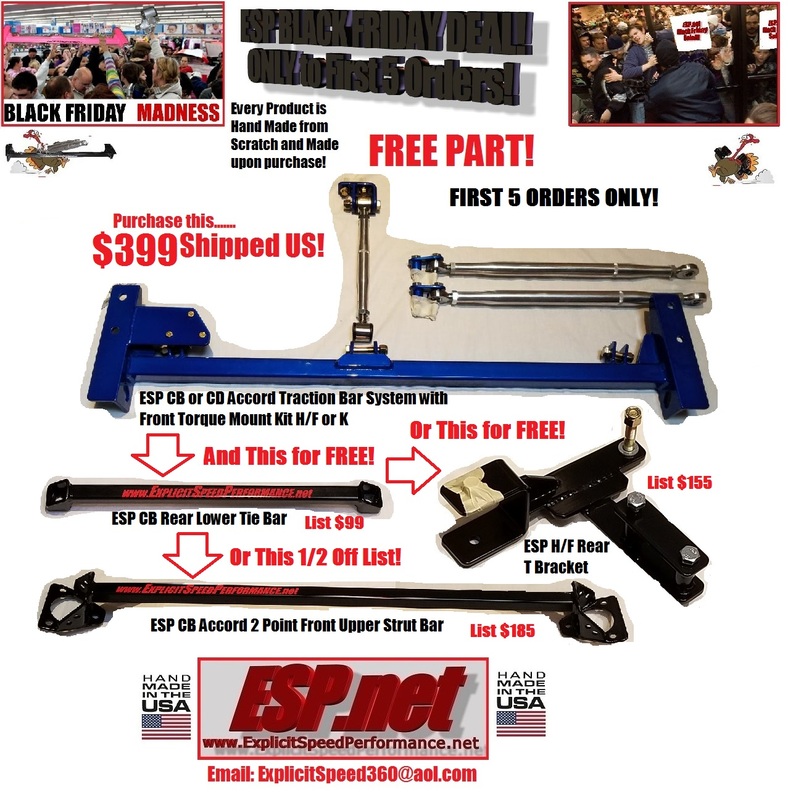 ESP Black Friday Ad! Negotiate for 1 Day! Strike a Combo Deal! ESP CB 90-93 Accord Black Friday Deal Ad. ONLY for First 5 Orders. Custom Powder Coating Color included! 150 Colors in Stock. First Come First Serve! Email or PM. 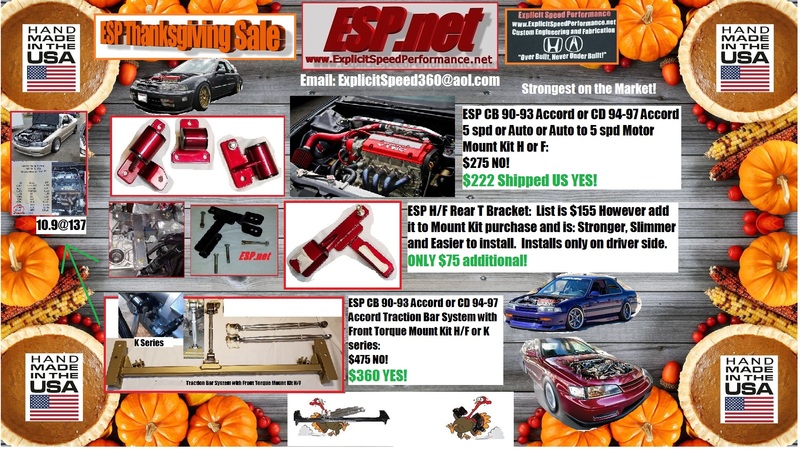 If want Motor Mount Kit or Strut Bar and Tie Bar Combo Deal this is your 1 Day to Negotiate on Combo Deal Prices! 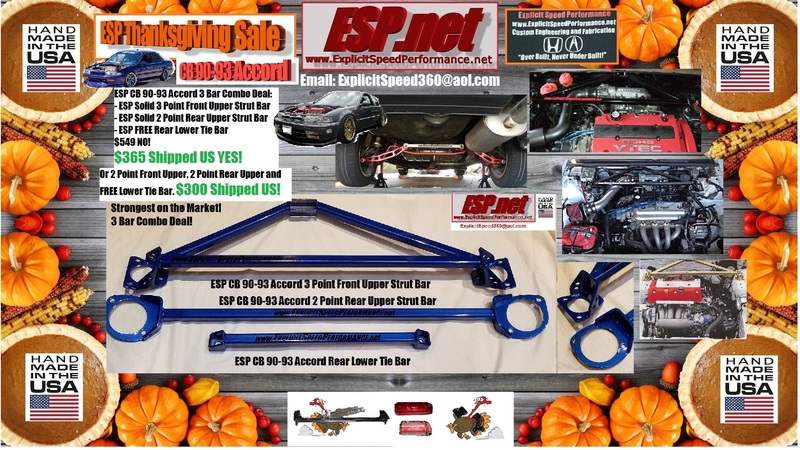 ESP Accord Traction Bar System with Front Torque Mount Kit H/F or K and get either Rear Lower Tie Bar or H/F Rear T Bracket for Free or CB 90-93 Accord 2 Point Front Upper Strut Bar for 1/2 Off List.